Do your kids like to store their ‘favourite things’ in one place? Or, perhaps they like to store their ‘favourite things’ all over the place? No matter what the answer, Maxtrix Furniture has a creative storage solution that will make organizing fun! Maxtrix MaxPacks are made of the softest cotton in fun colours to suit every room and décor. In fact, some of the colour combination even offer contrasting interiors and exteriors! The MaxPacks can be installed on any of the Maxtrix bed rails using the sturdy Velcro straps. To extend the life of the MaxPack, families have told us they love using the MaxPacks on the back of desk chairs and inside closets, hanging off a clothes rail. Soft MaxPacks are the perfect solution to keeping mountains of stuffies, books, and small toys in one place. Available in two sizes (medium and large) and in a huge selection of colours, MaxPacks are clever way to encourage tidiness – while keeping it fun and fresh. 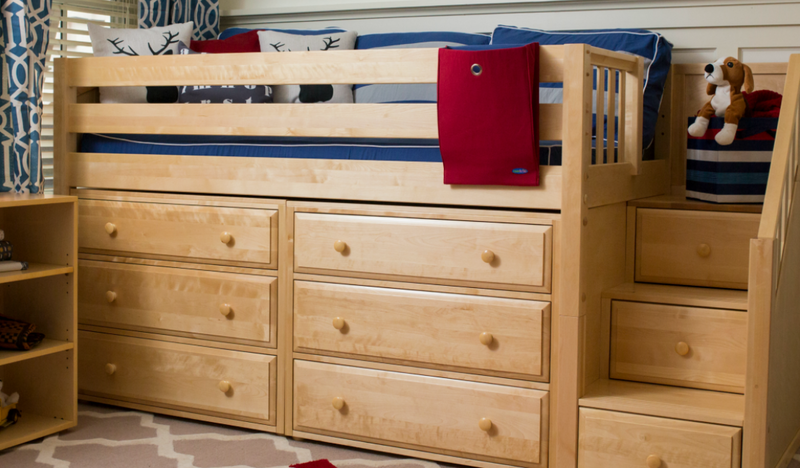 Trust us: your kids will want to clean their rooms when they have storage spots that are fun and convenient. Want to maximize your bedroom floorspace? Looking for #MyMaxtrix accessories? Come explore Ottawa’s premier Maxtrix Furniture gallery at Sleepy Hollow Children’s Furniture. We’re located at 1650 Queensdale Avenue, Unit #6Q, in Ottawa – just off Bank Street.